Today saw the latest Redbay creation depart the Team Redbay headquarters enroute to its new home port of Kenmare. 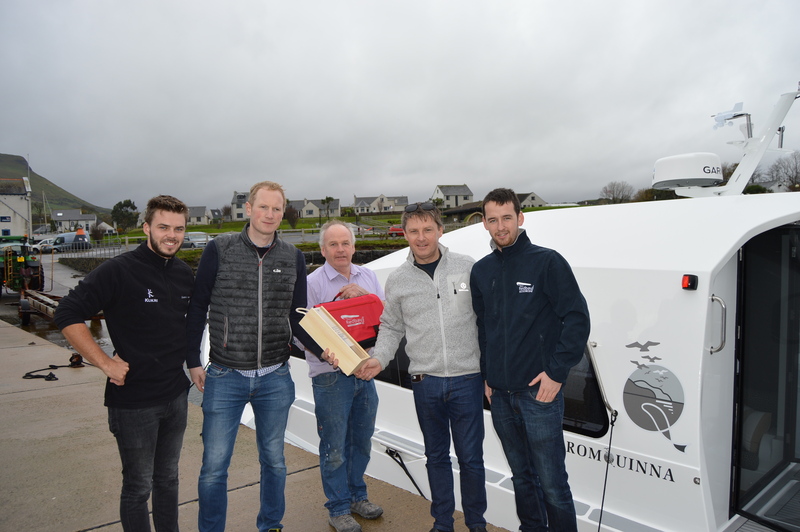 ‘Dromquinna’ was commissioned and built for hotelier John Brennan and his son Adam, they are returning Redbay customers and the boat has been built to their very bespoke specification! I think you will all agree the results are very impressive. 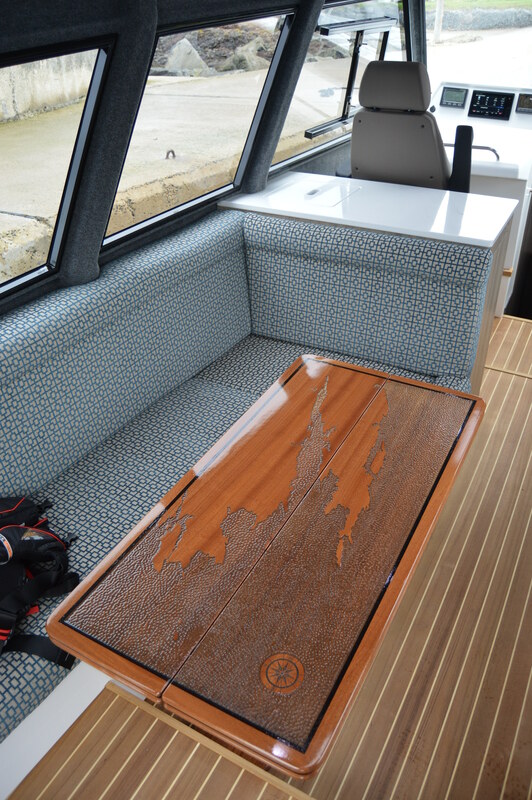 We have taken a standard production 1150 boat and altered it to produce a couples cruiser with the emphasis on creating a comfortable live aboard space in a boat that can go to sea in any weather. John and Adam were very heavily involved in the initial design and conceptualisation of the vessel detailing both the internal dimensions and the arrangement of spaces on board. In addition John personally oversaw the selection of the wood, cabinet styling and upholstery finishes, all of which combine to create a stunning space. 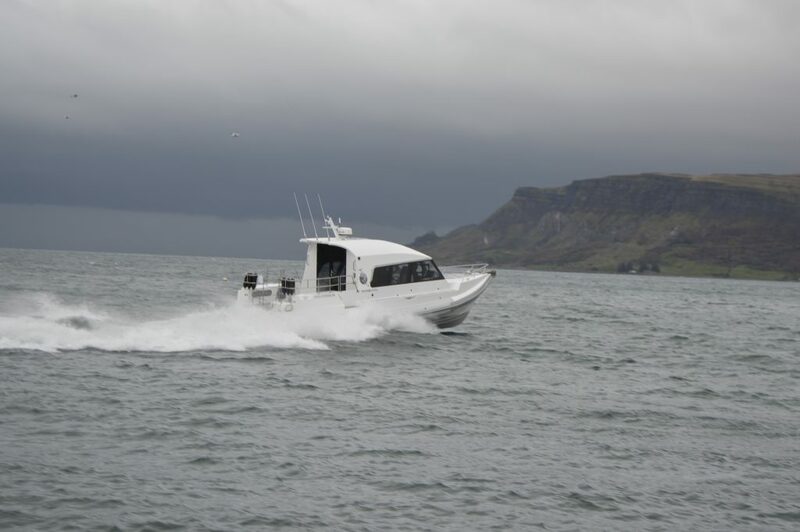 Dromquinna is powered by the tried and tested Yanmar 8LV engine package which is coupled to the ZT370 stern drive with the added benefit of the Yanmar JCS10 joystick control system. 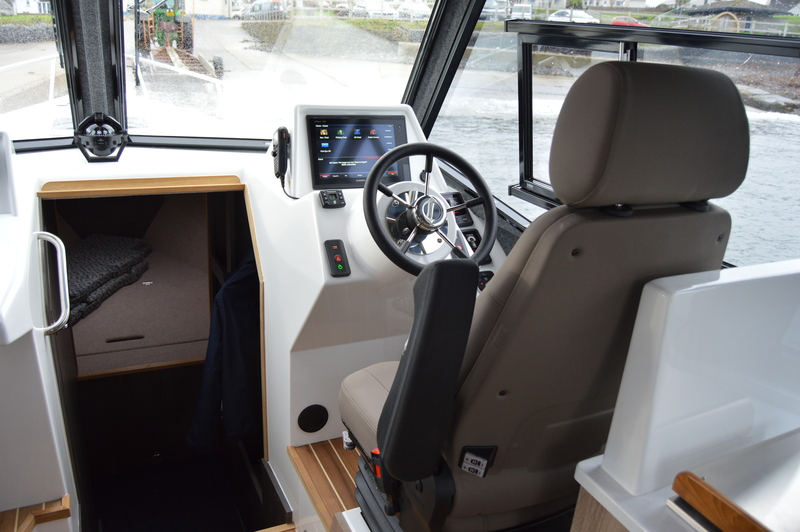 The JCS system joystick is mounted on the aft deck, this makes the boat extremely manoeuvrable at close quarters and it gives the skipper a clear view and direct involvement with berthing whilst standing on deck. At sea Dromquinna has a spritely sprint speed of 40 knots and cruises comfortably at 25knots whilst burning 60 litres per hour, another feature of the design is the installation of extended range cruising fuel tanks and with a capacity of 1200 litres the boat has an endurance of 500 Nm at cruising speeds. 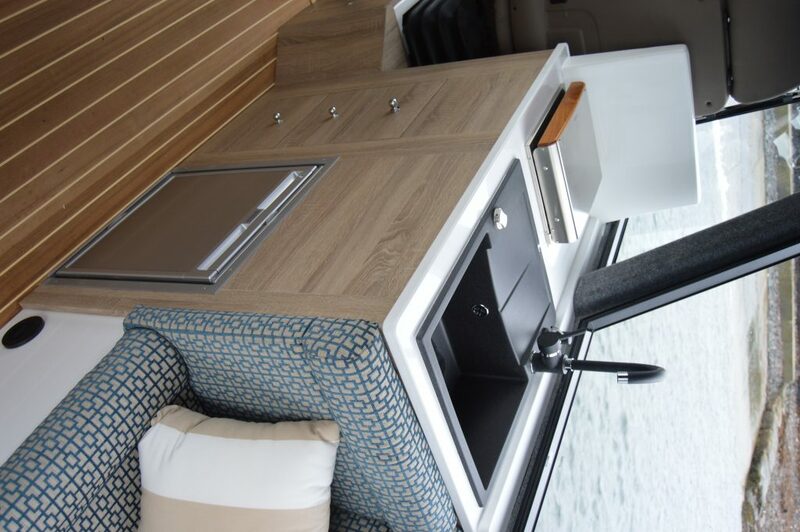 On board comforts include an Eberspacher heater, a galley with a Wallas diesel stove, a custom stone sink, a Dometic fridge, a forward mounted heads compartment again with custom sanitary wear, a shower and an Ocean Marine electric toilet. 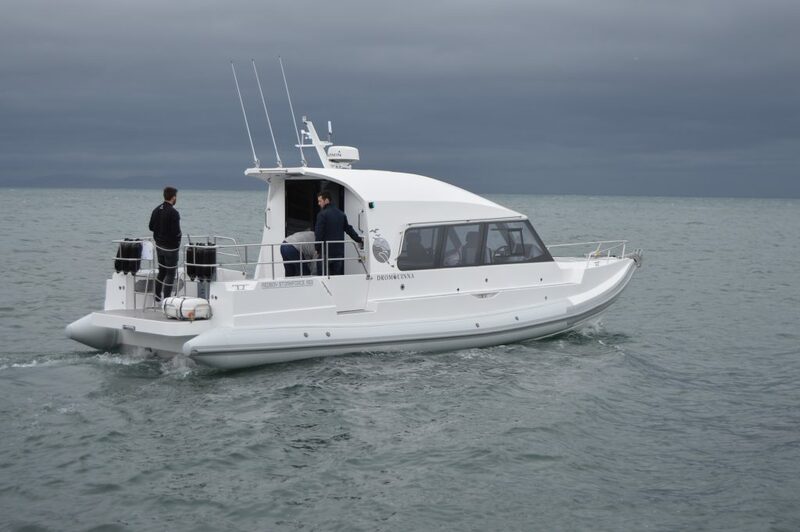 The electronics and navigation package is equally as impressive with Garmin 7412 and 7408 multi-function displays, a GMR 18 HD + radar system, the latest Garmin AIS 800 automatic identification system, wind and weather systems and twin Garmin VHF radios. 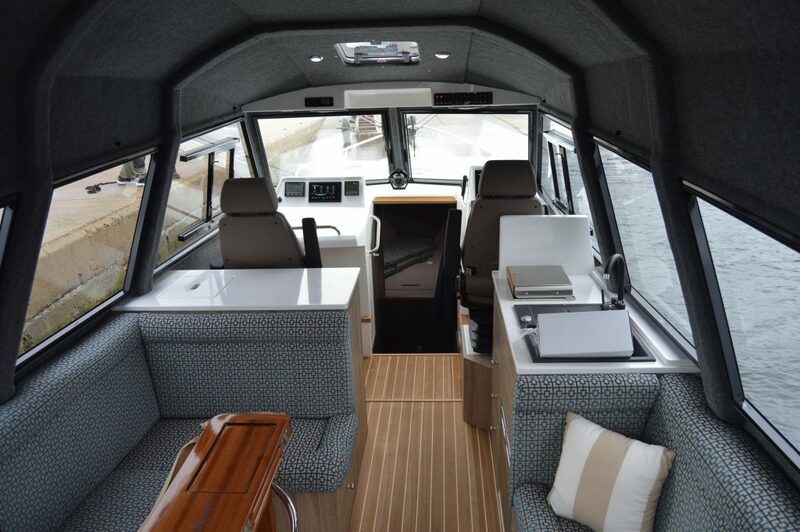 Finally on board entertainment is provided by a Fusion Marine RA70N system with separate amplifier and zone control between the main saloon and aft deck. 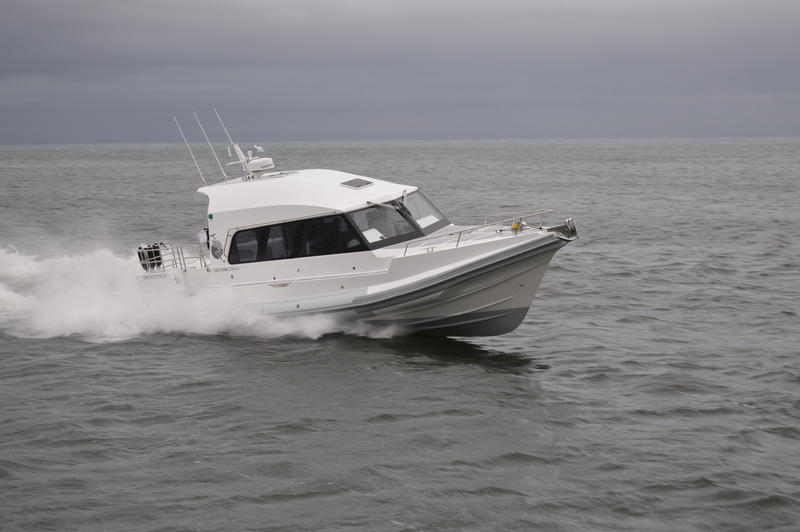 We are all delighted with how the second of our latest generation 1150 boats has turned out and would like to wish John and his family fun and safe passage.